Bret Michaels finally proposes to longtime girlfriend Kristi Gibson. 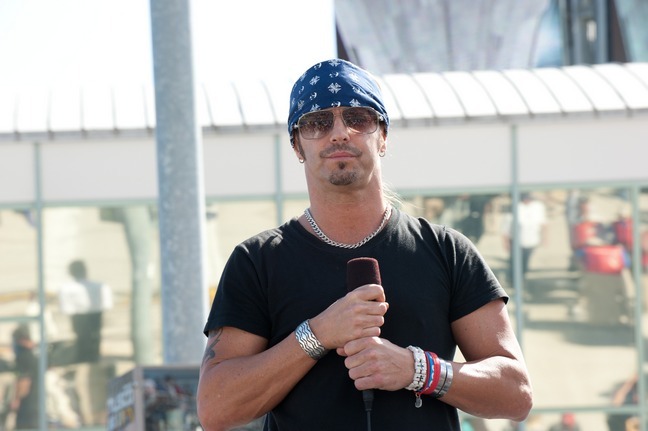 Last night on the season finale of his reality show "Bret Michaels: Life as I Know It", the rocker popped the question to Kristi, after 16 years together on and off. His proposal: "I love you, and you've been unbelievably a big part of my life, and we have two beautiful girls together. I know we love and respect each other, and I hope that we can find that inner love that we have forever. And I want you to be my wife. Please say yes, or the rejection will kill me right now." Bret and Kristi share two daughters together: Raine, 10, and Jorja, 5. They shared the happy news with the girls right after: "I did it! We'll all be together forever! Family hug!" What a happy ending for them! Congratulations!